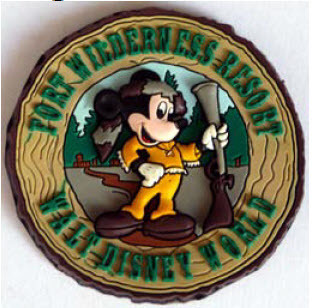 October 21st - 26th, 2013 at Fort Wilderness enjoy full hook up for $60.75 a night. Come in 5 days early or stay 5 days later at the same great rate. Come for the week or just a couple of days. Not coming in your bus, Stay at Wilderness Lodge at $325.13 a night or Coronado Springs Resort for $189.00 a night. You can also check to see if there are specials going on that may be less…. Disney will match them. The Gathering will be a time of fellowship and relaxation. This rally is all about YOU and how you want to enjoy your time here. John and Mary will be setting up dinner gatherings at different locations around Walt Disney World. (list to follow) The reservations will be made 120 days out for 40 people (until around 14 days before dinner then it will be confirmed for those signed up). Each couple will pay their own tab each night. You can pick and choose which nights you join us. Join us or enjoy an evening of your own design. Our group phone number to call for your reservations is 407-939-4686, which each coach/couple will do on their own. Our Group number is G-0603830… Royale Coach Club. You need this number to receive our gathering camping/hotel price. You will be able to cancel, following the Disney rules for canceling. So if you change your mind, you can back out with ease. Once you have made your reservations please contact Mary at johnsgirlfriday@verizon.net so you will get more information as things develop. Help us design a gathering by letting us know things you would like to do and I will see if I can work with Disney to make "your wish come true".